You know the movie's good when you leave the theater energized and inspired. 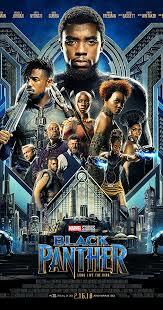 Black Panther deserves all the hype. Amazing doesn’t up even come close to describing it. I went the Magic Johnson Theater in Harlem and it was an experience. Hadn’t planned that since I don’t usually go to Harlem. It’s a long train ride from my Brooklyn apartment. My friends chose that theater. I thought I’d see some cosplay. Instead, people dressed in traditional outfits. I’m half Liberian. If I’d known people were going to wear Afrocentric clothes, I might’ve worn mine. Wonder if I experienced this simply because I was in Harlem. The movie was beautiful in story and visuals. The landscape, the costume, the tech….it was all beautiful. I could just watch without all the sound. I’d probably still enjoy it. 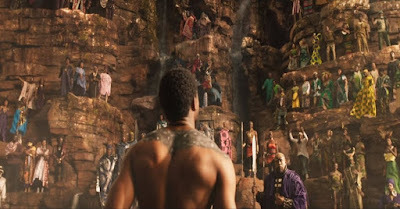 Killmonger (Michal B. Jordan) was not your typical Marvel villain. I’d put him up there with Loki. He wasn’t as crazy or as funny but he was....entertaining is the wrong word. He was deep. I found myself rooting for him. Jordan played that role. The lines he delivered gave me chills. Black Panther was full of social commentary but they weren’t heavy handed. You could miss it if you weren’t paying close attention If I had the money, I'd see Black Panther again…and again. I know I missed some stuff. The movie was also full of amazing characters. I already knew I'd like Chadwick Boseman as T'Challa because of Civil War. He killed it again. I loved how they developed him in Civil War. His arc in Black Panther was magic. He owned this role. I loved T'Challa but the women stole the movie. I’d totally watch a spin-off focusing on just one of them. I've been thinking of doing cosplay for ComicCon but could never figure out who I'd dress as. 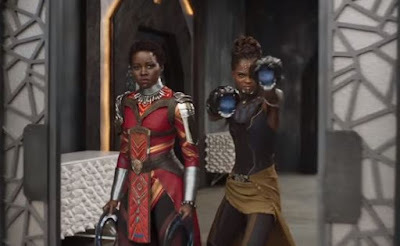 I might cosplay as one of the women from Black Panther. I can't decide. The characters were all great. Their outfits were beautiful. Shuri (Letitia Wright) brought the energy. It was refreshing to see an African American woman as the mind behind the tech. She was hilarious. Nakia (Lupita Nyong'o) was just royal. She stepped up and showed she could lead. My favorite would probably be Okoye (Danai Gurira). She was fierce and fun. She was such a badass. And she was intelligent. All the women in this movie were. They were skilled fighters but that wasn't the only thing that made them strong. Can we take a moment to appreciate these women being covered? Yeah, the outfits were tight but not skimpy. The clothes were tight in a classy way. 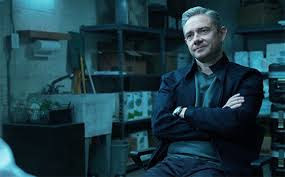 Even Everett Ross (Martin Freeman) was amazing. I didn't expect him to have a such a big role. That soundtrack... I don’t often buy full albums or movie soundtracks but I want Black Panther’s soundtrack. This is and isn't your typical Marvel movie. It has action but not on the scale we're used to. You still got that humor. Civil War made you think but not like this. I wish the movie was longer. Black Panther could've dove a bit deeper into these characters and the culture. I wanted more. I think they cut out a lot for the sake of time. I want to see those deleted scenes. I also wanted to know a more about the tech. I'm not completely familar with vibranium. Would've like to have known how it was used to create such awesome tech- without having to do extra research. Black Panther was refreshing. It had the fun and action you'd expect from a Marvel movie. It also showed the complexity of black people. Most times, African Americans in fantasy and sci-fi stories only have one characteristic. 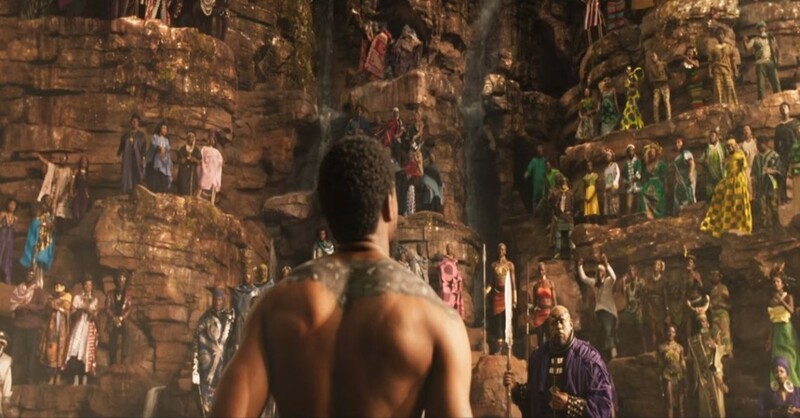 Black Panther showed how complex we really are. Stories have been getting better in recent years. But, it's still not "normal." I can't wait for the day when strong, complex and fully-cloth sci-fi fantasy women in a movie is just another day. When minorities as complex main characters in speculative fiction is normal.